As architects and designers, what do we know about people? As designers, how do we inform ourselves about the transactions that occur between people and the spaces that we occupy? 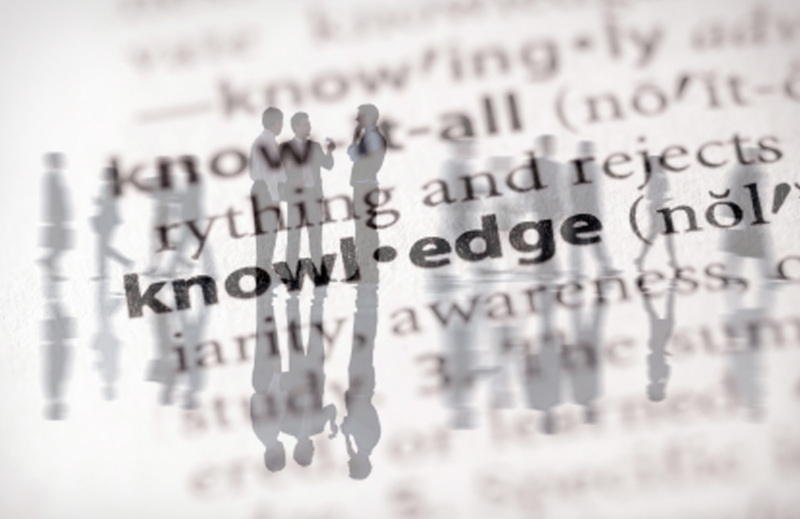 Do we continue to rely on personal knowledge, gained through subjective observation, or do we now gather data from other sources? Do we use the new digital tools that are now available, to gather the intelligence we need for design practice? Performative environments are the publicly accessible, socially and culturally complex places that have a direct impact on human experiences and events and, to design such environments, we now require detailed knowledge of anthropospatial 5 behaviour and experience, beyond the scope of any one designer’s personal experience. In this article we present the results of a global pilot study undertaken in 2013 that sought some early answers to those questions. 73% of participants identified architecture and 8% identified interior architecture as their primary mode of design practice. (fig.2). The disciplines of urban planning and urban design accounted for 10% of respondents, while landscape architecture represented just 4.5%. fig.02 Modes of Practice for Respondents. The results of this study provide an interesting glimpse into the knowledge practices of design professionals around the world. Although we recognise the need to inform ourselves about the people we design for, it appears that we generally do not access explicit information, beyond our own experience or that of our clients. Most of us do not refer to research literature, nor do we engage in post-occupancy analysis of completed projects. The primary reasons given were a lack of time and/or the financial respurces to do so, but there is also something deep in the culture of design that gets in our way - our training. To gain insight into the knowledge practices of designers, this study had two primary research questions: first, to what extent do we refer to research literature from other, relevant disciplines such as sociology, psychology etc and, second, to what extent do we gather empirical, post-occupancy data about the ways in which people experience completed projects.The first aim was to identify the extent to which architectural practices rely on tacit or personal knowledge and/or the extent to which they augment that knowledge through post-occupancy analysis and the literature of related fields outside of architecture—particularly the fields of sociology, anthropology and psychology. We received responses from every continent. The original number of respondents was n=459. The types of practice were limited to Architecture, Interior Architecture, Urban Planning, Urban Design, Landscape Architecture and Interior Decoration as those practice types are significantly engaged in the design of ‘performative’ environments—publicly accessible, socially and culturally complex spaces that are required to suit human needs and desires. For the purpose of this study we focussed on urban, work, health, retail and learning environments. Our second aim was to identify if the extent to which a practice is engaged in the design of performative environments has an effect on the degree to which a practice engages in an evidence-based design process. In other words, if your practice is primarily engaged in the design of urban, learning or work environments are you more likely to gather explicit data than a practice that is mostly engaged in, say, bespoke residential design. Although 80% of respondents perceived a need for explicit data gathering, on average 68% of respondents never, or only occasionally, review anthropospatial research literature. In Australia and New Zealand, this percentage climbs to 88% and in South America it is reduced to 59%. On average, just 16% of designers will review research literature as a matter of course, but in Australia that percentage drops to 5%. On average, 71% of participants indicated that they never engage in post-occupancy analysis (POA) of completed projects. In Europe, this percentage increased to 76%. On average, just 6% of participants undertake a formal POA as a standard part of their practice. Subsequent research indicates that less than 1% do so with a degree of rigour and none of the respondents undertook more than one analysis on a completed project. In other words, they do not return, after an elapsed period of time, to confirm the results of the first study. 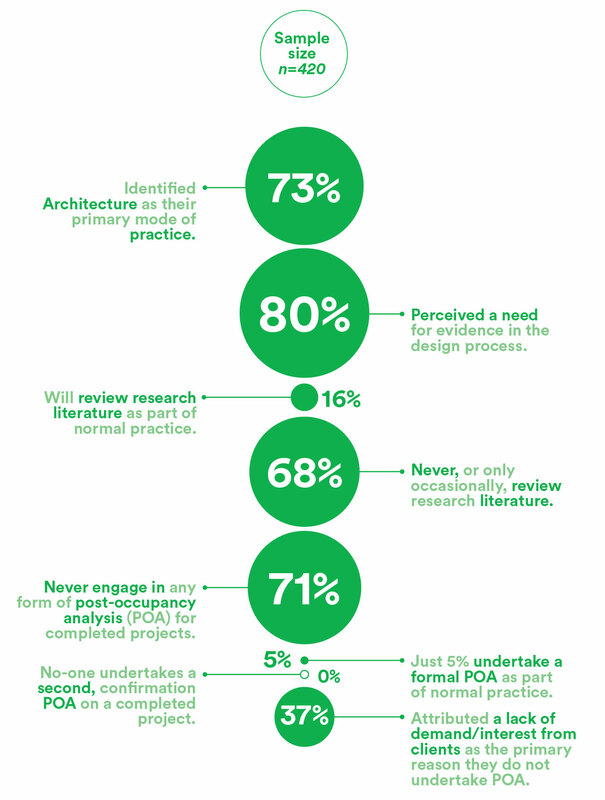 Of those practices that undertook POA, 37% were self-funded by the design practices. 37% of all respondents stated that the reason they do not undertake POA is because of a lack of demand/interest from clients. Where clients were amenable to the idea, they would not cover the cost of the study. We were also able to determine that even when performative environment projects represented more than 50% of a practice’s workload, the increase in explicit data gathering was only around 1% above the average. If, as is beautifully suggested by Ezio Manzini, design innovation requires the shifting of an entire territory to embrace "other systems of reference", then, by rights, we should be broadening our horizons by gathering as much data as is possibly available to us. And yet, our study indicates that most design practices do not seek to augment personal knowledge with reliable information from research literature or post-occupancy analysis, and this is a global phenomenon. To be fair, up until quite recently we had few effective tools to do so, but now we do. Although the study indicates there is a perceived need for explicit data gathering, it appears it is not sufficiently valued by designers, or their clients, to be included as a costed service. Respondents provided explanations based on a paucity of time and money, however, we argue there are two primary causes: the first is our training and the second is the traditional idea that architectural space is fixed and therefore not evolving. After all, the need for post-occupancy analysis is limited if nothing can be changed. More deeply rooted is the problem of our training where, as Phillip Thiel suggests, we are taught to become a universal model for everyone,4 but without any external validation of that model. Design studios do not require us to gather ground-level intelligence about the potential impact of our ideas. We make design decisions about anthropospatial consequences on the basis of personal experience alone, and the potential truth of our assumptions is almost never tested. Importantly, we miss the opportunity to explore a world of ideas and potential experiences that are quite literally beyond us. Reasons are many and varied--and they will have to wait for another time, another article. What is certain is that, in the face of continuing and rapid social change, our traditions must also evolve. The tacit knowledge that has served us well for centuries will require augmentation. The question is: how to incorporate that knowledge into a design process that relies equally on thought and play?